I take a ton of photos with my iPhone because it has such a great camera. But I’m not a fan of having to then edit them later on, or I forget to do it, and then nothing gets done. This is exactly why I love the Adobe Photoshop Express app. I can take my photos, and edit them from my phone right then and there. The editing is really easy to do, I just slide my finger across the photo and the desired effects appear right away. Photoshop Express has a bunch of great features. 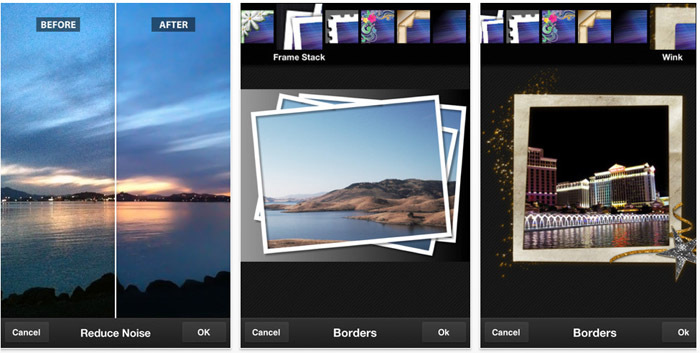 It includes not only the basics of editing like cropping photos, but also borders, effects and filters. The other cool thing about this app is that any photos are saved right to my own Photoshop.com account. So I don’t have to worry about having pictures in various different places. Click here to download Adobe Photoshop – it’s free! 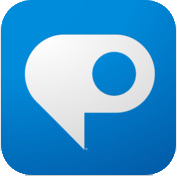 TweetSharebar TweetWe list the top 10 photo apps for editing, collecting, curating, sharing your photos!